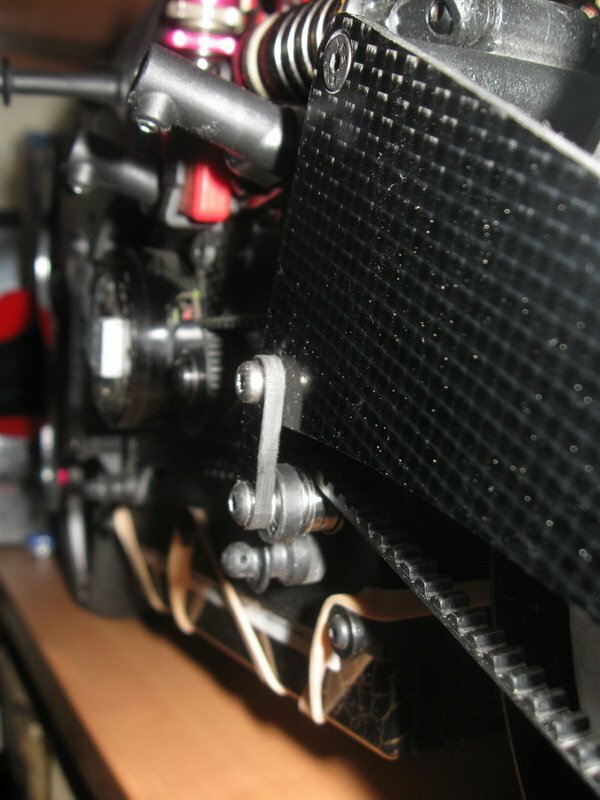 I am running an Xray T1 FK05 TC at the local RCGT Cup. 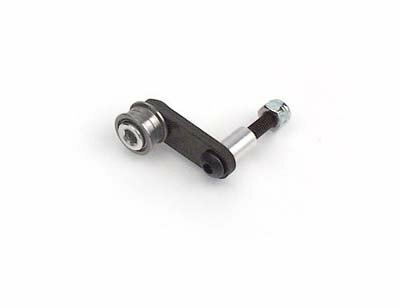 While browsing through its option parts, my eye caught the perfect accessory for the SB-5: A belt tensioner! 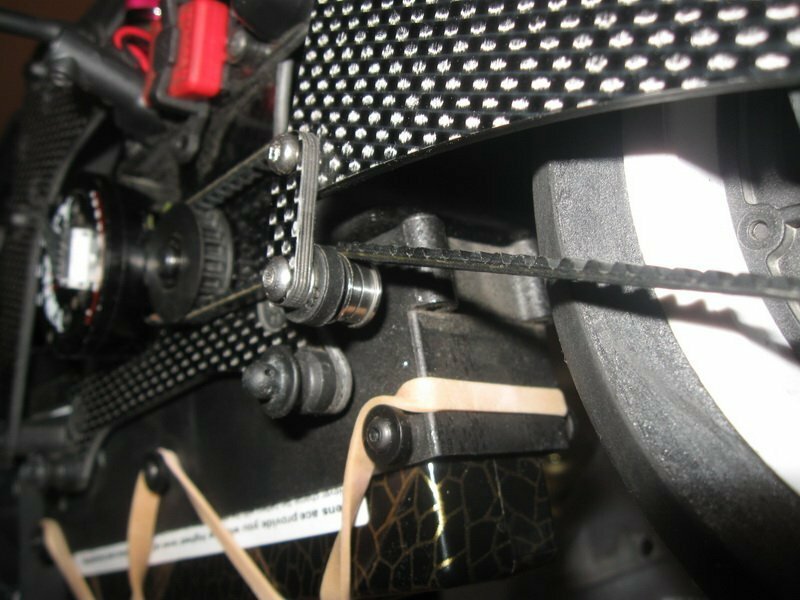 I had to install the most forward oval spacers on the rear wheel axle, and at least on the table it looked like the tension was good. However, the next day, at my local parking lot, it was VERY tight and the bike was struggling... So, I just removed it, returned the rear axle to its middle position and even with the 6.5T motor it will skip a tooth or two, again, but only if you crank full throttle at low speeds... To be continued, then! The second upgrade was new aluminum wheels! 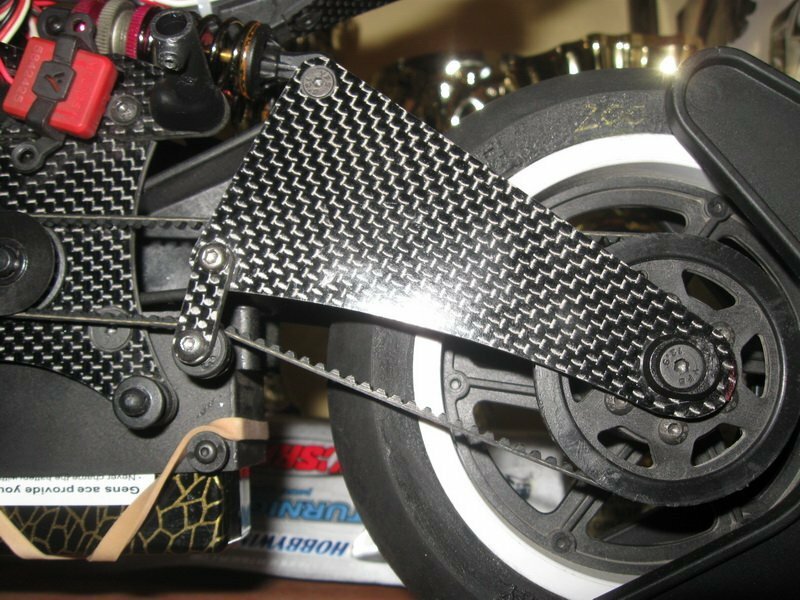 These are ZH-Racing, fron Japan, bought from www.2wheelhobbies.com. 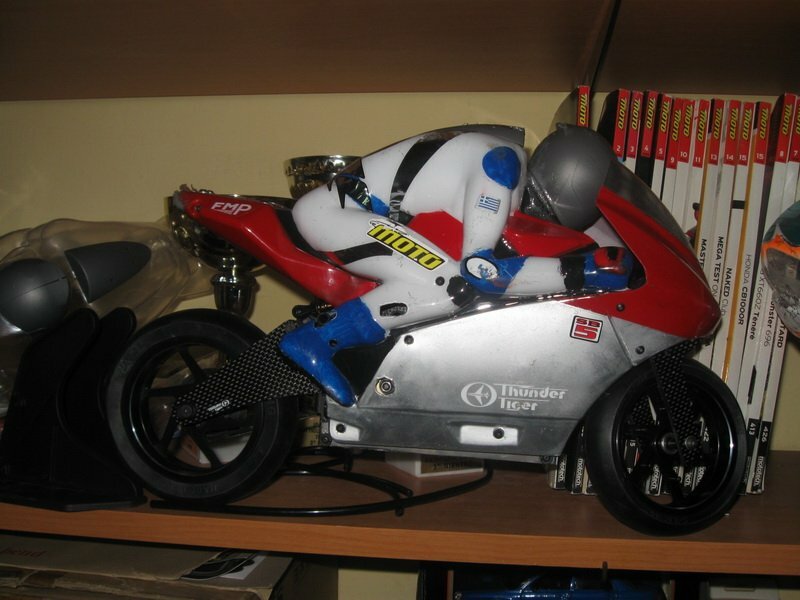 I got these, in my quest to make the bike a bit heavier, so I can race it in the Stock class at the 2011 RC Bike Worlds. 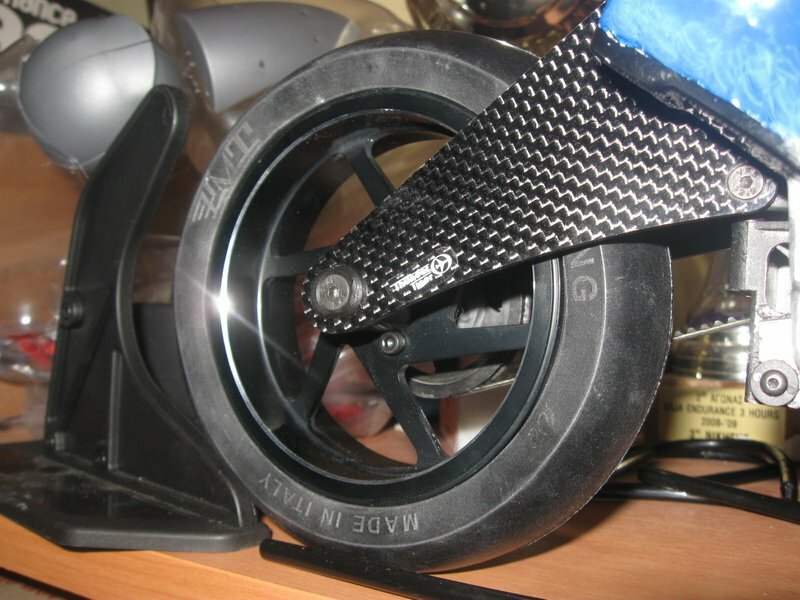 The weight limit is 1900 grams, and the bike with kit plastic wheels and front brake kit weighs 1654 grams. See here how I am adding weight to the bike!!! 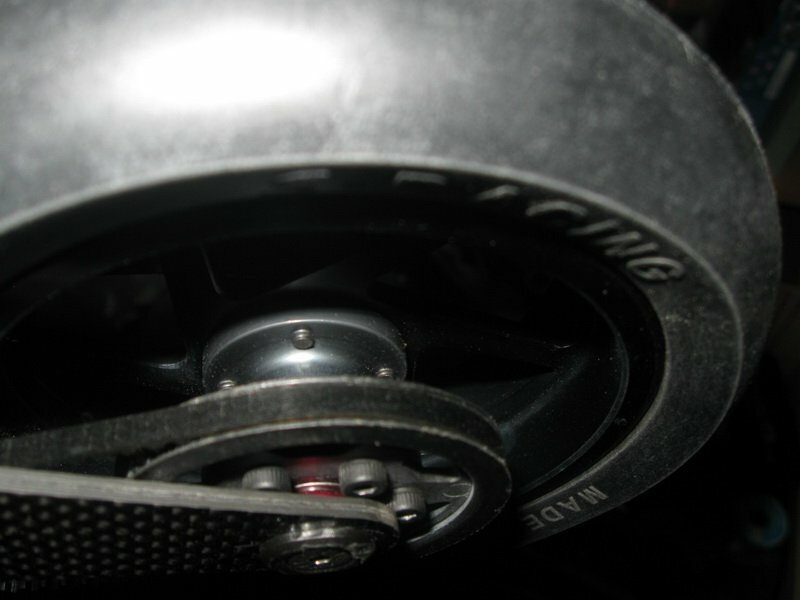 The front wheel comes with the pins installed, in case you wish to use the TT front brake. 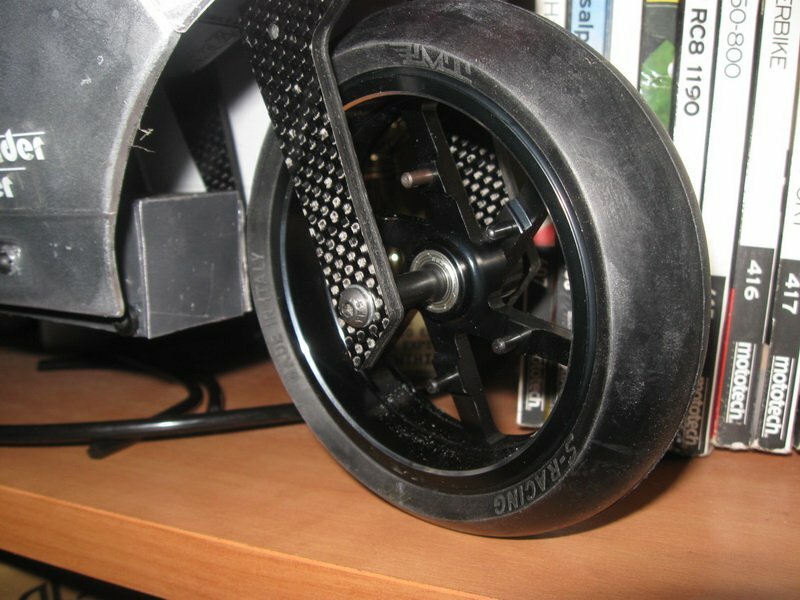 The rear wheel comes complete with an alloy hub and all bolts to bolt the pulley and the hub on it. 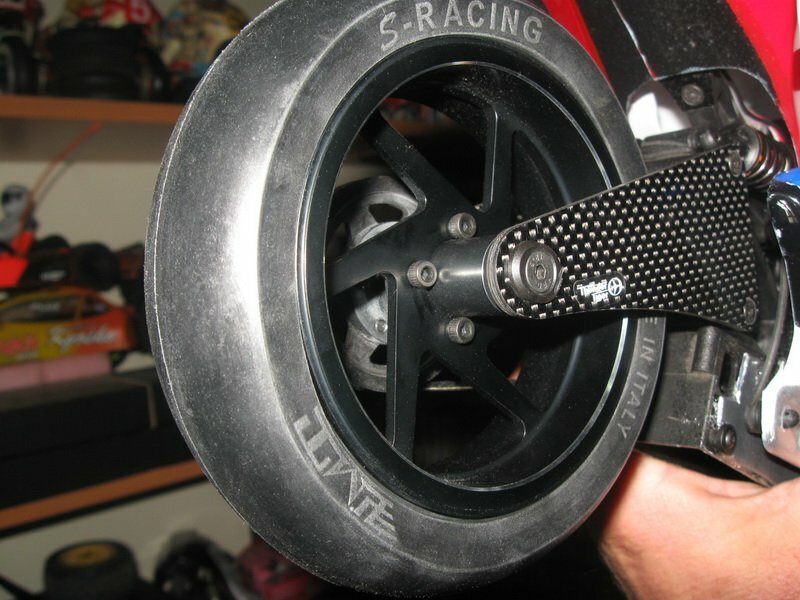 Both wheels came with new bearings as well.